She calls me "Mama Leisha": Pennies From Heaven! It wasn’t long before friends started to comment on the picture: If all your Facebook friends donated one dollar, and, We should start a GoFund Me. People chimed in and said they would donate, and I spent the day laughing and smiling at the hilarity of it all. Imagine my surprise when the very next day I was tagged in a Facebook post, with an accompanying link to an online fundraising page: "If you know Aleisha than you know why this fundraiser was started for her. I’m sure she thought we were joking and is probably pretty embarrassed right now, but she deserves a porch piñata too!" And so it began. Friends started donating money, varying in range from five dollars to fifty. People shared the campaign on their Facebook pages in hopes of drumming up interest; it was shared 273 times. And one of the most beautiful things about the campaign was that several strangers donated as well. In a twenty-four hour period, 34 people raised $560. I was shocked. Words to describe what I was feeling left me. I felt such incredible love. And to be honest, I felt a little uncomfortable too! I talked to my mom on the phone one day, about my embarrassment towards such a lavish gift. I found myself wishing I could use the money raised to serve others, to buy more piñatas to leave on more porches. That’s one observation that has struck me since starting my porch piñata project...there are so many people in pain, so many people to help, so many to serve, so many who could use a piñata. The experience with the Kate Spade bag--a true highlight of my 2017--represents everything that, I believe, is divine and sacred and good about humanity: Selflessness. Charity. Friendship. Kindness. Love. Loving others. Letting others love you, too. 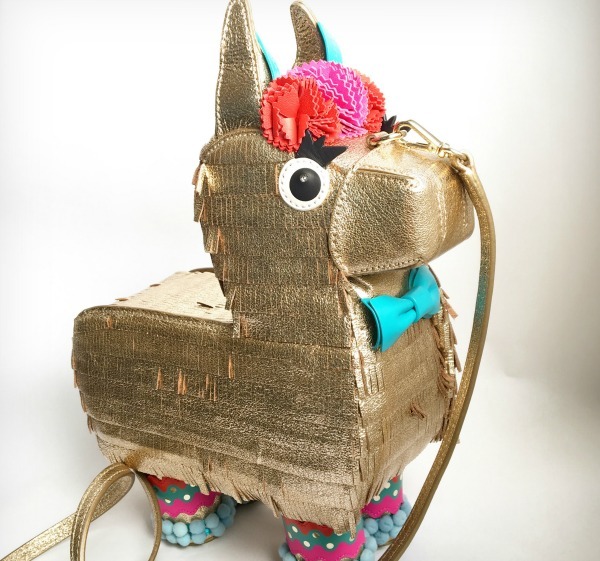 That is exactly what my piñata purse has come to represent to me: great, great love. And if the house ever catches on fire, that purse will be the first thing I grab! After my children, of course!